Two years ago, during his Budget reply, federal opposition leader Bill Shorten publicly committed federal Labor to delivering two dollars out of every three allocated to VET directly to TAFE. 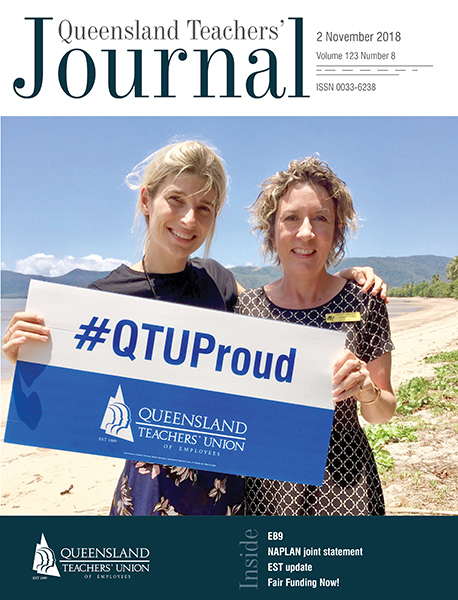 In response, QTU TAFE Division members have been active in approaching federal MPs and candidates to sign the AEU guaranteed funding pledge. The national TAFE campaign is gaining momentum with independent, Green and opposition politicians also signing up to the commitment. You can see who has signed up, and perhaps more importantly, who hasn't, at www.stoptafecuts.com.au/pledge, and why not take the opportunity to become a #StopTAFECuts campaign supporter too.